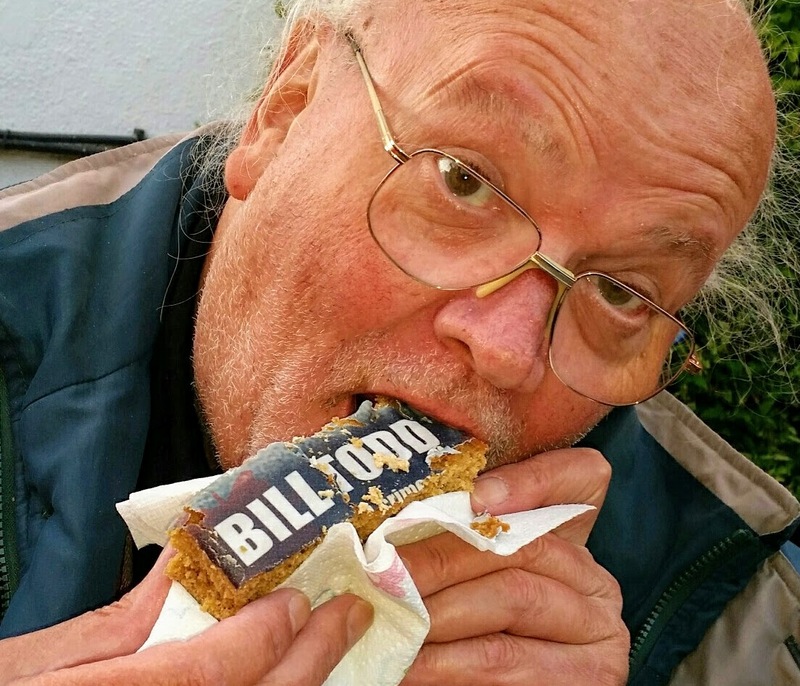 I am delighted today to have Bill Todd on the Blog today. 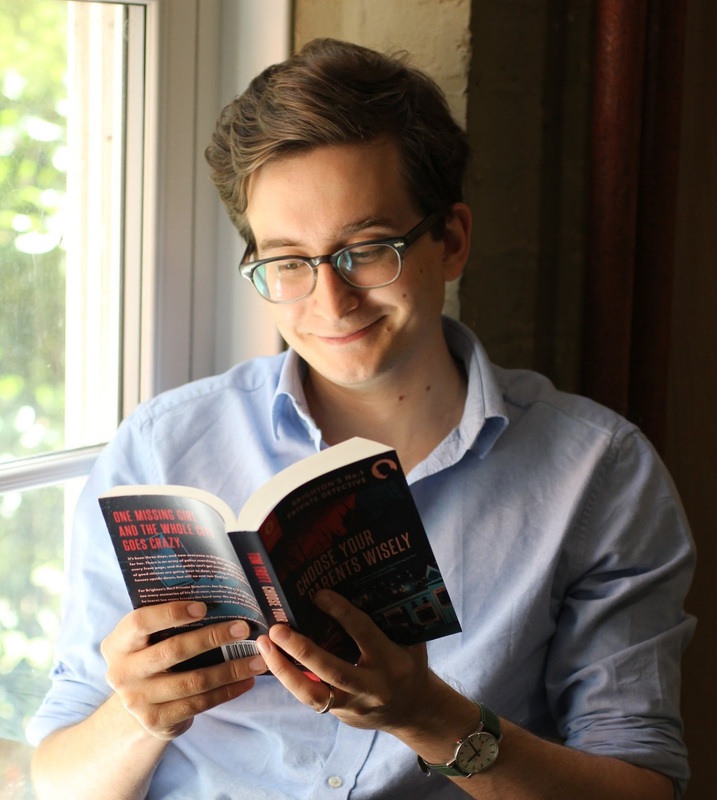 He has shared a great author interview with us. 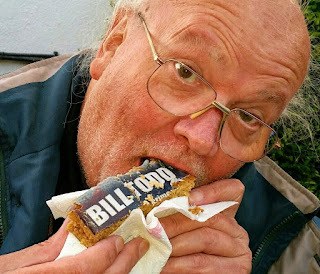 Bill is the author of the Danny Lancaster series of Crime Thrillers. First off let us find out about Bill in his own words. I’ve spent most of my working life as a journalist on local and national newspapers. It’s a wonderful opportunity to meet all sorts of people and gain insight into all manner of places and events. My fiction has also been aided by years writing travel features, a fantastic job that’s taken me to more than 40 countries, from Arctic Finland to the deserts of Namibia which feature in ROUGH DIAMOND. I’ve enjoyed a long love affair with Crete. The mountains, coastline, food and people make me wonder if I lived there in some previous life. I was delighted and surprised to receive the Ed Lacy travel award in 2007. Before journalism I tried my hand at odd jobs including furniture removals (watch out for the flat-packs, they tend to pack flat when lifted! ), photography, teaching and running a magazine group. My other interests include my family tree. I’ve traced the ancestors back to William of Byfield, a farmer in 1600s Northamptonshire, just down the road from Shakespeare. I love maps and have a ragbag collection of more than 2,000. I'm also a fan of interesting cheeses, good beer and wilderness. They’re like Marmite, you’re an empty places person or you’re not. Then there's baby grandson Theo. 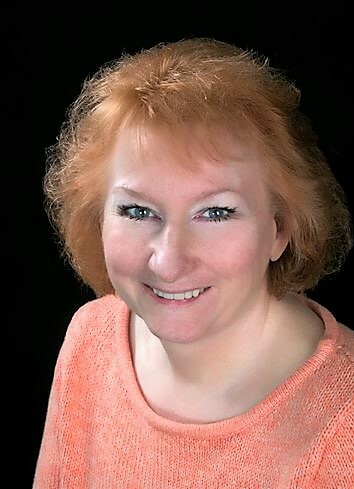 I wrote my first book when I was 13 or 14 with a school friend, an old fashioned story of mischievous schoolboys. I might have a copy deep in the archives but it's staying there. When I was a kid I assumed I'd be a soldier. Grandads served in WWI and dad and his brothers in WW2. One grandfather was in the Boer War in South Africa in 1902. But thoughts of a military career we're dashed by an aversion to discipline and an addiction to my grandmother's steamed apple pudding. I started work at about 10 or 11 doing a milk round and well remember the pain of gripping glass milk bottles, empty and icy, one on each small purple finger. Compensation came at Christmas. My festive tips were more money than I'd ever seen and I was even given the occasional small sherry, very warming when out in the winter half-light. School was not my finest hour and first proper job was as a news agency messenger. This opened up an amazing world of wealth, crime and celebrity which was magic to a wide-eyed and imaginative 17-year-old. I then trained as a journalist on a local newspaper, attending block release courses at Harlow Tech. One exam aimed to stimulate imagination - picturing a milk float in a road accident. My witness descriptions of a white river flowing down a hill won hands down. Perhaps that was an omen. 2) Could you tell us a bit about your character Danny Lancaster? Tricky this, like everyone he's a wide mix of traits. If I had to pin him down it would probably be loveable rogue. Danny served as a paratrooper in Afghanistan and lost his left leg below the knee in a firefight. He struggles to cope with changing from superfit to maimed in the space of two seconds of gunfire. His love life looks a bit bullet-riddled at times. Although he's now back in civilian life Danny still tries to cling to the military ethos including courage, discipline, respect and loyalty. It's a struggle. 3) Which writers do you admire? All of them. I'm in awe of authors. It's a writer's self-doubt thing. But most of my reading is escapist. As a kid I loved Sherlock Holmes and Biggles and still have all the paperbacks. I loved John D MacDonald's Travis McGee thrillers, then moved on to Jack Higgins, loved The Eagle Has Landed. Next came Len Deighton and Frederick Forsyth. It would be unfair to select a few random active writers but I'm sure they're feeling the love. 4) If you had to give one book only as a present, which would it be? An impossible question that I will wriggle out of by saying it would depend entirely on the recipient. 5) Godlefe's Cuckoo, your sixth Danny Lancaster, came out last March. What are you working on now? Embarrassing question. Since Godlefe's Cuckoo I've been backsliding. I could give you excuses - glorious summer weather, family illness, new grandson, crisis of confidence on how to top Godlefe's Cuckoo - but a writer writes, end of. It's not as if I have nothing to do. There's my 7th Danny Lancaster in the pipeline. Plus a standalone crime thriller. And a cosy crime locked-in mystery. Also, the diary behind my travel writing across a decade and four continents. So, no excuses. All I can do is apologise. Maybe a novella soon? Nag me if you don't hear. 6) How important is the cover of a book in your opinion? Absolutely vital, it's your shop window. I'm not sure I’ve always got it right but I'm very involved in the design, typography and graphics. It's essential for the book, and good fun too. 7) What made you become a writer? 8) What are your writing habits and space like? I plot and plan, resisting the urge to write until it is overwhelming in the hope the words will pour forth. My home office has a PC with two big screens and my record in there is 16 hours with only sandwich and pee breaks. But my last book, Godlefe's Cuckoo, was mainly written in cafes and pubs on the wonderful Nexus 7 tab and a Bluetooth keyboard. Late on, I have discovered the joys of writing on the move. Most of this blog has been written in a pub on my Samsung S8 phone. 9) What is the strangest thing you have ever had to research online for your writing? Where to start? Firearms, drugs, nicotine poisoning, people smuggling, gunshot wounds, rough sleeping, geriatric medicine, the sky’s the limit. An ambitious young psychiatrist could make their career on the back of my internet search history. 10) Could you tell us something about you that people wouldn’t necessary know about you? I could but I'll need to consult a lawyer first. I have also written three non-fiction books. GUNNER is based on my father's World War Two diary, photos and postcards from Normandy to Hamburg. PIGTAIL PILOT is the tragic story of a talented young woman who was on course to be the RAF’s first female pilot when she was killed in training. A CROCUS FROM JERUSALEM is the story of a 19-year-old country lad's journey to war in the Middle East in 1917. 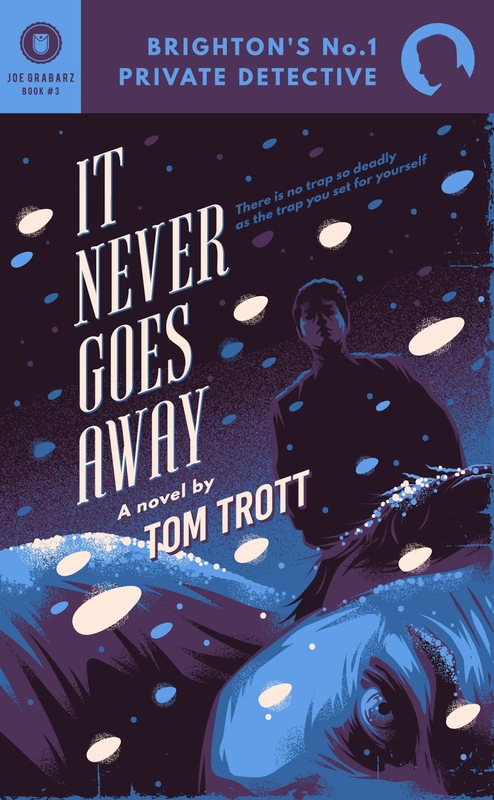 Delighted today to be able to talk to you about the Brighton's No.1 Private Detective series by Tom Trott. 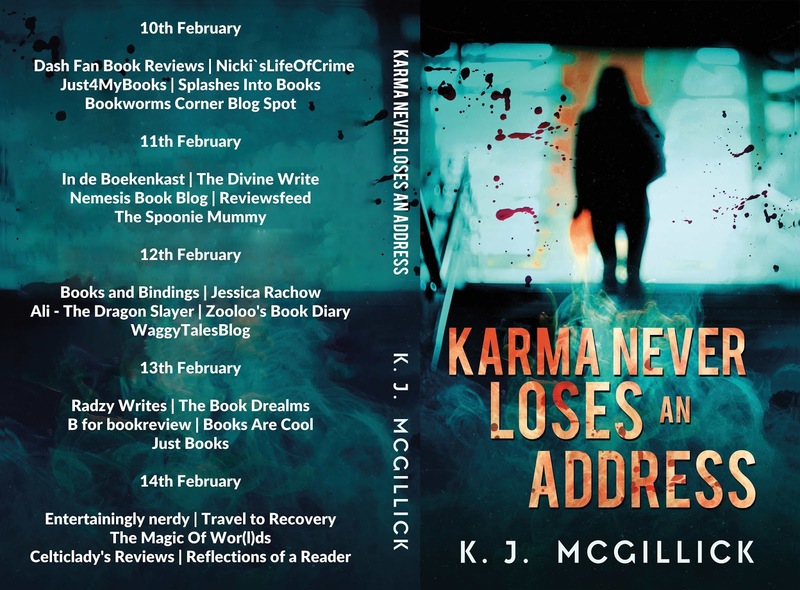 My thanks to the author for the review copies and Rachel of Rachel's Random Resources for inviting me on to the blog tour. Blacklisted by the police. Being sued by a client. And broke. Things can't get any worse for Brighton's No.1 Private Detective, Joe Grabarz. For Brighton’s No.1 Private Detective, Joe Grabarz, it brings back too many memories of his first case, another missing girl, when he learnt too many lessons the hard way. No one was going door to door then. No one cared. But her mum and dad weren't nearly as photogenic, nor quite so saintly. 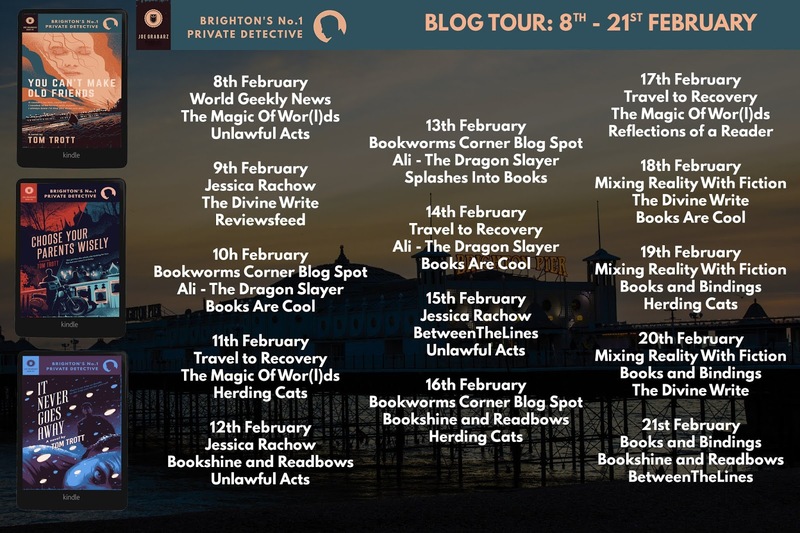 I couldn't wait to return to the life of Brighton's No.1 Private Detective Joe Grabarz and I was lucky that I was able to do that as soon as I finished the first one. These books could be read as a standalone but I really think there is benefit from reading the series in order. There is always a danger when following a series that the second or subsequent books are not as good as the first but never fear this one is even better. I am becoming quite accustomed to Joe Grabarz and his unconventional ways. 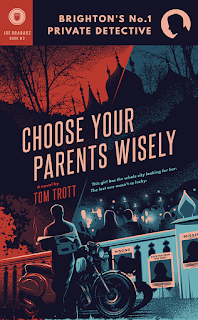 Once again Tom Trott's unique and inimitable writing style come alive as this dual time line plot jumps off of the page. Never for the faint hearted but this mystery is exhilarating as the plot plays out and the investigation of the missing girl heats up and Joe finds himself in the thick of it once again. I am awe at what a solid series the Brighton's No.1 Private Detective series is. Instead of running out of steam, book by book it is growing into its own. The plots are second to none and It Never Goes Away is the latest instalment. Joe finds himself in an abandoned farmhouse and it looks like past and present are about to collide. This is going to be a tough case for Joe as he battles with the past and himself at the same time. I found this one particularly gripping and I was sold from the very first chapter. 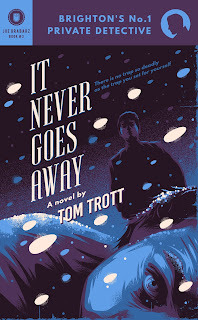 It really is clever what Tom Trott has done with the character of Joe Grabarz. He has made a character that is whole and almost living and breathing and as the series progresses he is revealing him to us bit by bit. This is talented writing. 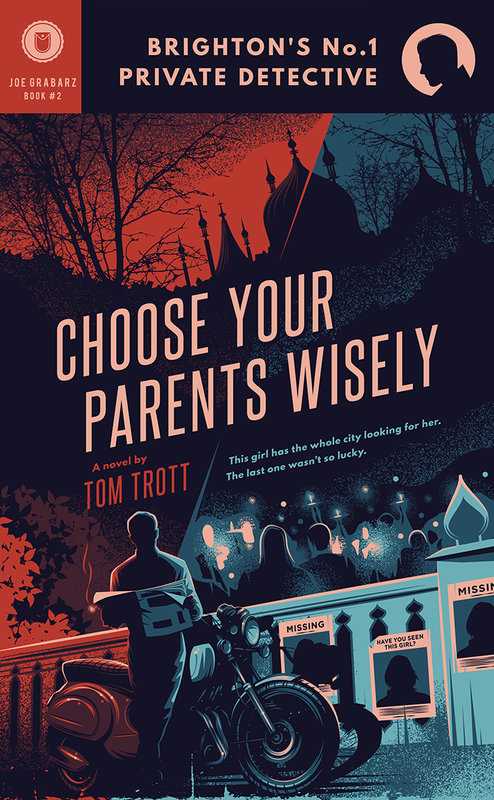 Tom Trott really is writing in his own lane here and this is a series that I would be happy to come back to time and time again. 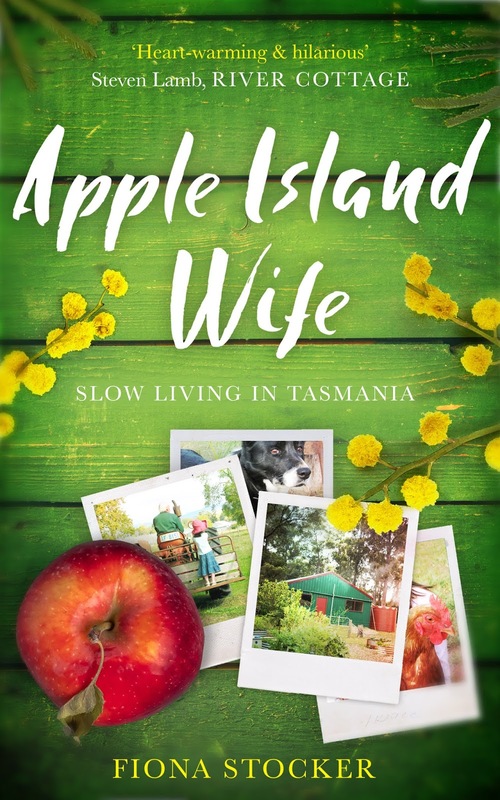 Author Bio – Born in Brighton, I went to school in here, worked many jobs here, and have never lived anywhere else. 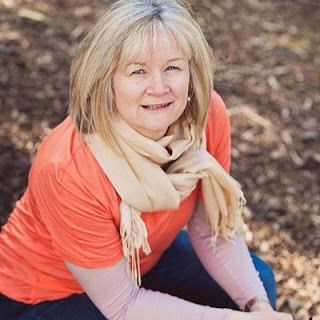 I first started writing at school, where I and a group of friends devised and performed comedy plays for assemblies, much to the amusement of our fellow pupils. The young ones would cheer (and the old ones would groan) as we stepped up onto the stage, the buzz was tangible. It has been with me ever since. As an adult I have written a short comedy play that was performed at the Theatre Royal Brighton in May 2014 as part of the Brighton Festival; Daye's Work, a television pilot for the local Brighton channel; and won the Empire Award (thriller category) in the 2015 New York Screenplay Contest. 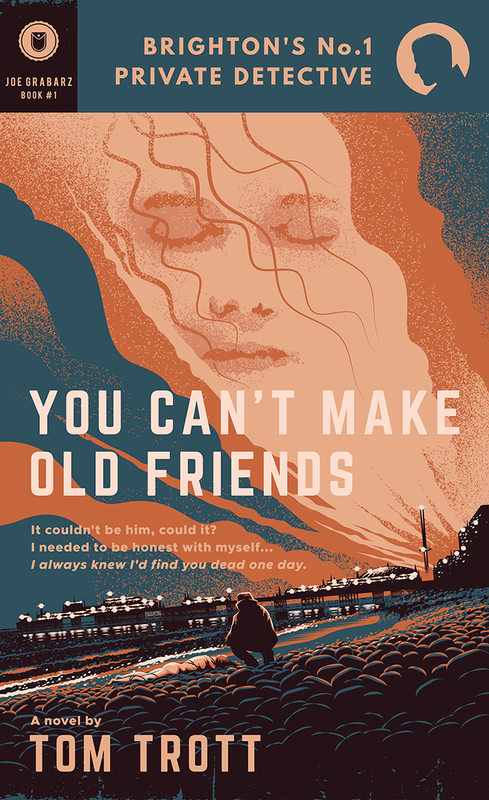 I published my first novel, You Can't Make Old Friends, in 2016; my second, Choose Your Parents Wisely, in 2017, my third, The Benevolent Dictator, in 2018, and now my fourth, It Never Goes Away, in 2019. When I’m not writing books, I’m writing about writing, books, and film on Medium. My inspirations as a writer come from a diverse range of storytellers, but I have a particular love for the works of Raymond Chandler, Agatha Christie, Joel & Ethan Coen, Arthur Conan-Doyle, Daphne du Maurier, Alfred Hitchcock, Bryan Fuller, Ira Levin, Quentin Tarantino, Robert Towne, JRR Tolkien, and many many more books and films beside. If you can't find me, or I'm not answering my phone, I'm probably at the cinema. 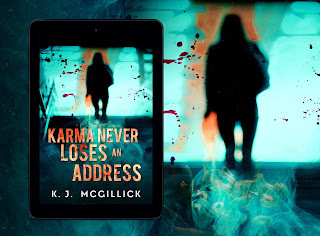 Karma Never Loses An Address is a twisting and pacy mystery that I found intriguing and the fact that it was written in the trademark style I have come to expect from this author was even better. A sprinkling of humour and a lot of crime and a well thought out plot was more than enough to keep me intrigued and entertained throughout. Marley Bennington killed her Sister and framed her Brother in Law. Driven by greed and jealousy it is shocking what lengths Marley will go to in order to get just what she wants. The characters here are interesting and some of them are downright despicable but they remain memorable at the same time. The plot initially seemed a little far fetched but as I got more and more in to it I could see that it worked brilliantly. An exploration of truth and justice and whether if or when the legal system fails whether there is a place or such a thing as karma. Interesting and most definitely thrilling. I really liked it. 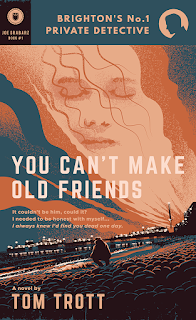 Published by Unbound Digital on 24th January 2019. 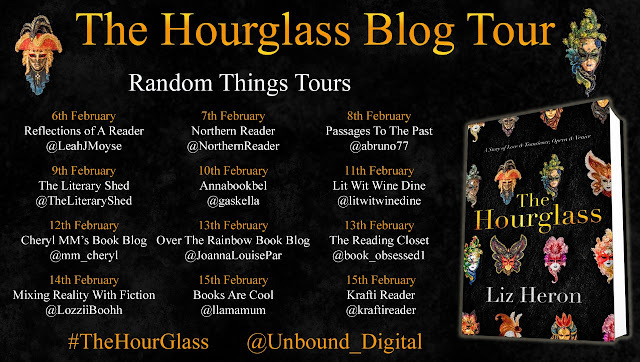 My thanks to the Author and Publisher for the review copy and Anne Cater of Random Things Tours for inviting me on the blog tour. Dan Matlock is out of jail. He’s got a choice. Stay or leave. Go back to where it all went wrong, or just get out of the county. Disappear. Start again as someone else. But it’s not as simple as that. There’s the matter of the man he killed. It wasn’t murder, but even so. You tell that to the family. Especially when that family is the Mintons, who own half of what’s profitable and two thirds of what’s crooked between the Wolds and the coast. Who could have got to Matlock as easy as you like in prison, but who haven’t touched him. Not yet. Like Matlock found out in prison, there’s no getting away from yourself. So what’s the point in not facing up to other people? It’s time to go home. 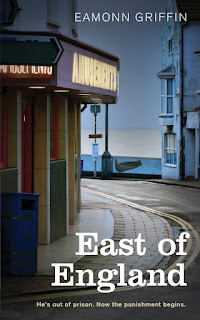 I do enjoy a bit of gritty noir and East of England certainly serves up that. I thought it was great. Dark and brutal, it is not going to be for everyone. The writing though is superb and I really did find this a fascinating story that was enough to keep me glued to the edge of my seat. 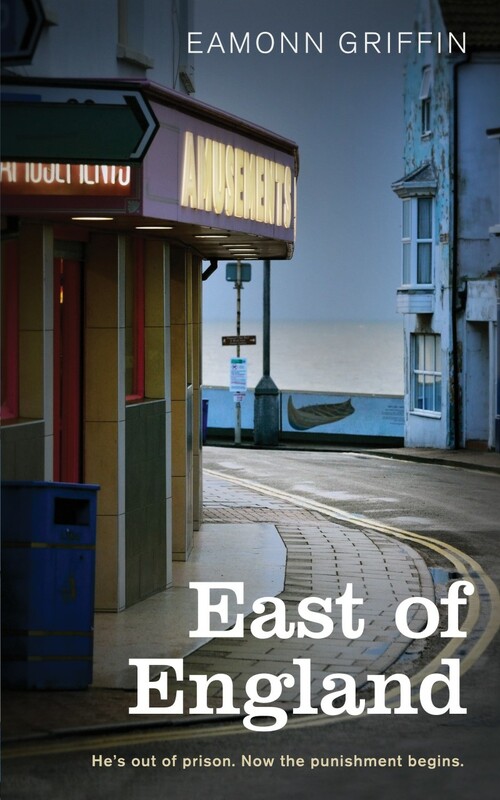 East of England is set in Lincolnshire which is an area I am not particularly familiar with. It comes alive in this book, you can tell that it is a place that the author knows like the back of his hand. Eamonn Griffin has a unique writing style that I warmed to enormously. I was suckered into the darker side of Lincolnshire right from the very first page and wasn't let go until the final sentence played out. Eamonn Griffin was born and raised in Lincolnshire, though these days he lives in north-east Wales. He's worked as a stonemason, a strawberry picker, in plastics factories (everything from packing those little bags for loose change you get from banks to production planning via transport manager via fork-lift driving), in agricultural and industrial laboratories, in a computer games shop, and latterly in further and higher education. 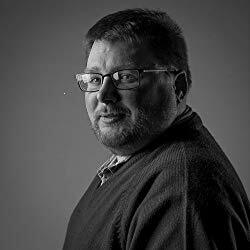 He’s taught and lectured in subjects as diverse as leisure and tourism, uniformed public services, English Studies, creative writing, film studies, TV and film production, and media theory. He doesn’t do any of that anymore. Instead he writes full time, either as a freelancer, or else on fiction. Eamonn has a PhD in creative writing with the University of Lancaster, specialising in historical fiction, having previously completed both an MA in popular film and a BSc in sociology and politics via the Open University. He really likes biltong, and has recently returned to learning to play piano, something he abandoned when he was about seven and has regretted since. Published by Unbound Digital on 25th October 2018. 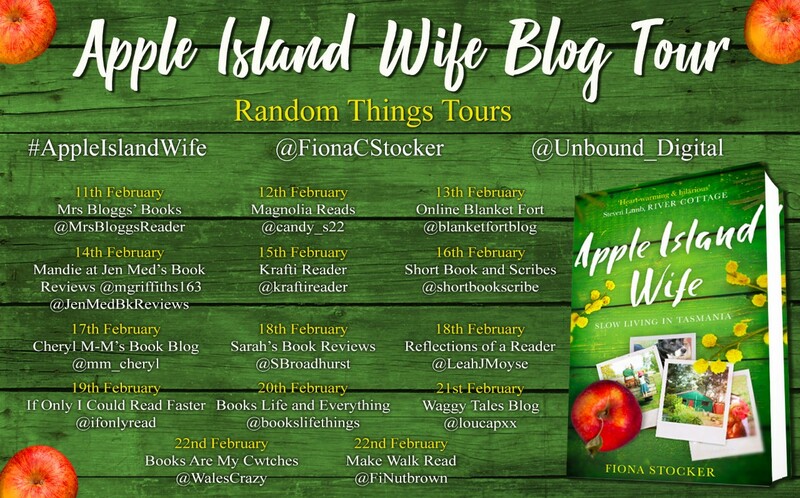 My thanks to the author for the review copy and Anne Cater of Random Things Tours for inviting me on to the blog tour. You can get your copy of the book here. Spring 2000. Paul Geddes visits Venice to research the fin-de-siècle opera singer, Esme Maguire, seeking out a cache of papers held by Eva Forrest, the widow of a collector. What he reads begins in the 1680s, moving through the city s later history of Enlightenment and Revolution, describing a life stretched beyond human possibilities. What would it be like to live for nearly 300 years, as an exceptional being who must renew herself time after time, as those she has loved age and die? Could this story be grounded in reality or be merely the product of an ageing woman s delusion, as Paul suspects. Warily, Eva and Paul fall in love, their tentative emotions bringing them closer until, on a trip to the Dolomites, Eva s past catches up with her. 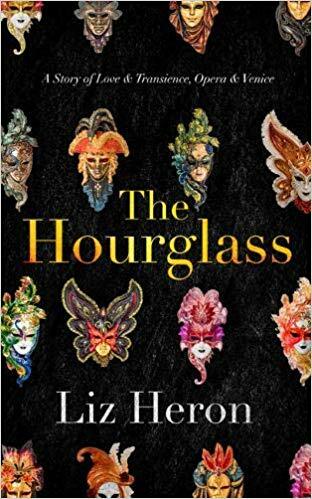 The Hourglass is the first novel I have read by Liz Heron and I found it to be interesting and really a love song to Venice which is the finest character in the book. Paul Geddes travels to Venice in search of information but what he finds is an awful lot more. He finds Eva and the tale of a lady that has lived for 300 years. Constantly reinventing herself and living an extraordinary life. The Hourglass is bold in scope and cinematic in feel. It got a little confused on occasion as to what was what but this was due I feel to the complexity and the time span of the plot. I loved the fact this was set in Venice, I have never been and there was some great imagery here for the reader to enjoy. A story of love, opera and Venice. An exploration of identity and being able to reinvent yourself. 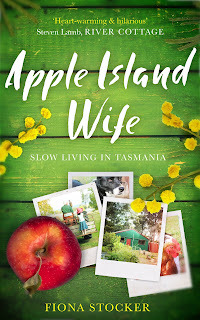 The only thing that I struggled with was the characters I didn't find them totally absorbing and as I adore a character driven novel I struggled with this just a little. Having said that I feel the plot and the sense of place more than made up for this. Liz Heron grew up in Scotland and studied at Glasgow University. After living in Paris, Madrid and Venice, she embarked on freelance life in London, contributing arts and literary journalism to Spare Rib, The New Statesman, The Listener, The Village Voice, New Society, The Guardian and many other publications. Her literary translations from French and Italian range from Georges Bataille and Giorgio Agamben to the novels of Paola Capriolo. Her own books include Truth, Dare or Promise, a compilation of essays on childhood, and Streets of Desire, an anthology of women’s 20th-century writing on the world’s great cities, both published by Virago, as was her short-story collection, A Red River (1996). 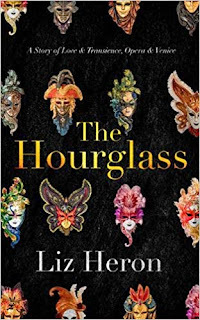 Liz began researching her novel, The Hourglass, during her second spell of life in Venice.